Size 30mm x 460mm. Tungsten carbide tipped SDS Plus drill bits manufactured to a consis.. Size 25mm x 1000mm. 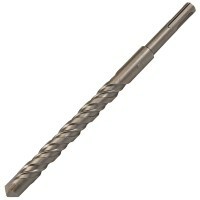 Tungsten carbide tipped SDS Plus drill bits manufactured to a consi.. Size 4mm x 160mm. Tungsten carbide tipped SDS Plus drill bits manufactured to a consist.. Size 5.5mm x 210mm. Tungsten carbide tipped SDS Plus drill bits manufactured to a consi.. Size 22mm x 600mm. Tungsten carbide tipped SDS Plus drill bits manufactured to a consis.. Size 16mm x 210mm. Tungsten carbide tipped SDS Plus drill bits manufactured to a consis.. Size 14mm x 210mm. Tungsten carbide tipped SDS Plus drill bits manufactured to a consis.. Size 10mm x 600mm. 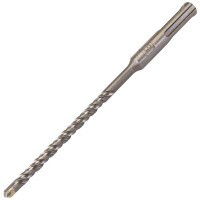 Tungsten carbide tipped SDS Plus drill bits manufactured to a consis.. Size 8mm x 210mm. 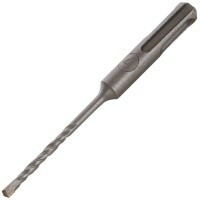 Tungsten carbide tipped SDS Plus drill bits manufactured to a consist.. Size 4mm x 110mm. Tungsten carbide tipped SDS Plus drill bits manufactured to a consist.. Size 18mm x 210mm. Tungsten carbide tipped SDS Plus drill bits manufactured to a consis.. Size 6mm x 160mm. 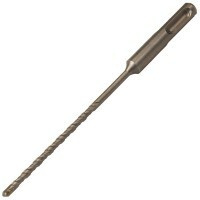 Tungsten carbide tipped SDS Plus drill bits manufactured to a consist.. Size 25mm x 460mm. Tungsten carbide tipped SDS Plus drill bits manufactured to a consis.. Size 16mm x 1000mm. Tungsten carbide tipped SDS Plus drill bits manufactured to a consi.. Size 5.5mm x 160mm. 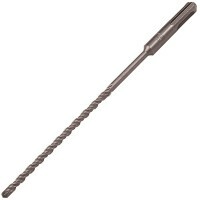 Tungsten carbide tipped SDS Plus drill bits manufactured to a consi..